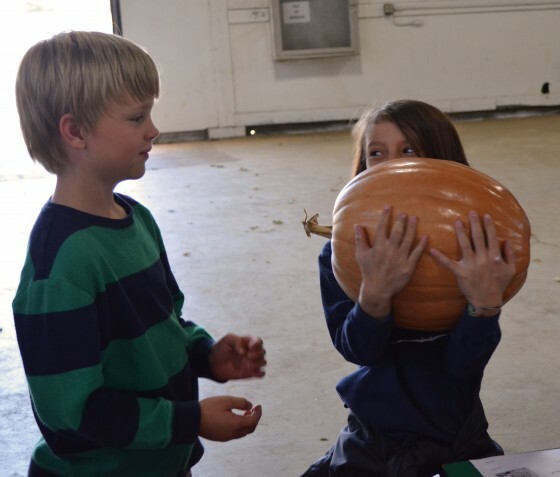 We love educating youth about agriculture! 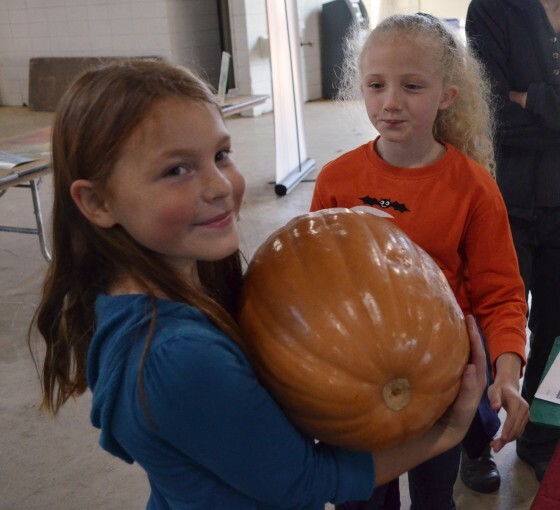 We went to the Ag Expo at the Linn Benton County Fairgrounds. 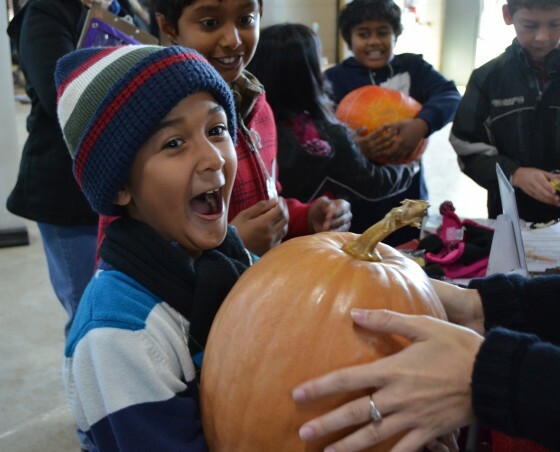 It’s an event to teach 3rd and 4th graders from 11 schools about agriculture. In the course of three days, over 650 kids will pass through the stations at the fairgrounds. 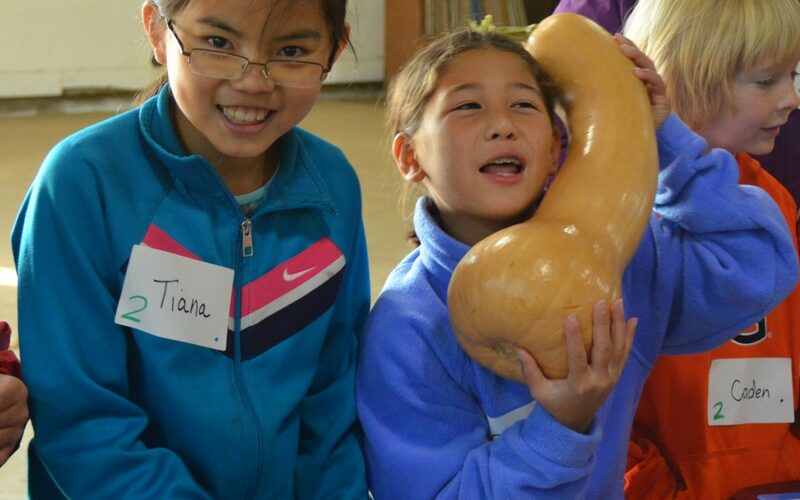 We had the kids name some winter squash varieties that are grown in Oregon. 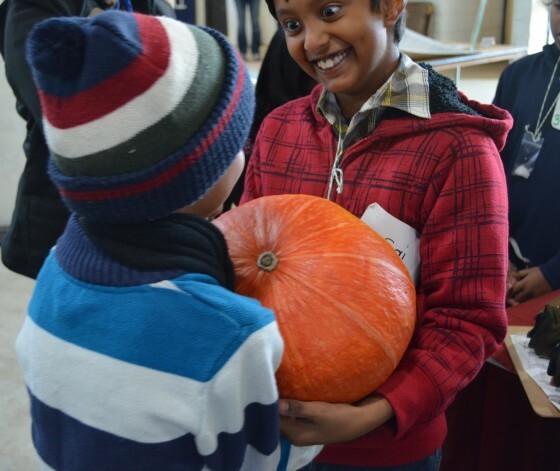 We then passed them around for the kids to get hands-on experience with our winter squashes! Check out this Dickinson pumpkin! Oh my gosh this is so heavy! This golden delicious is amazing!